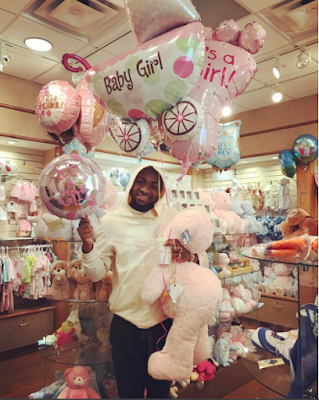 Davido welcomes second daughter Hailey in the US! We Brought you photos from the Baby shower of the singer and his US based Partner Amanda Here! and Now baby Hailey has arrived! Excited Dad Davido took to his page to share the news..
"SHES HERE!! HAILEY VERONICA ADELEKE HAS COME TO BALL!!!!!! THANK YOU JESUS!! SHES TOO BEAUTIFUL!! 😍😍😍😍"
We say congratulations to the new dad and Big sis Imade who now has a little sister..